That's not real. It Does not exist. But it will cling to you, persecute you and wait until you lose your sanity and decide to face it. That will take advantage of your poor naive human mind; that will make fun of you. That is waiting for you, wherever you are. Here or there. You will enter an immense forest, dark and with no apparent exit. A labyrinth that will desperate you for its long dead ends. You will dedicate yourself to enter places without exit, where your probabilities to live, are the same ones that you have of dying. No, you do not need a reason to do it, you just have to do it. Follow that thing, that thing does not exist. It is waiting for you. The Operator, your Operator is waiting for you. Do you think you're losing your sanity? Or is it just your imagination? 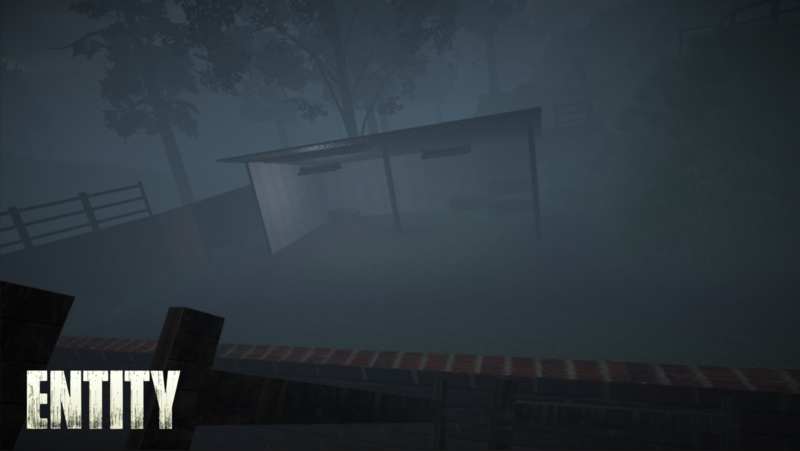 The Entity is a game inspired by the Slender Man, the legend born on the internet a decade ago. Likewise, it also takes some details of the videoserie "Marble Hornets", also inspired by this mythical legend. Several scenarios to choose from to play. Your goal is to search and find 5 lost photos deep in one of these scenarios, before the Slender Man find you.